As previously reported, a victim of unjustified exposure to asbestos was awarded $2 million. However, in the event that James Hardie (The accused company) decides to appeal the court’s decision, the victim has discussed pursuing further charges. Simon Lowes was awarded 2.07 million dollars when he sued James Hardie’s subsidiary company, Amaca. Lowes decided to sue when he was diagnosed with mesothelioma—a disease caused by his exposure to asbestos. 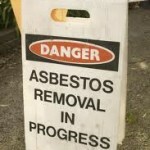 Evidence showed that the company had ignored their own safety experts warnings to halt the dumping of asbestos waste. Lowes lawyer,Michael Magazanik told the media that he wished James Hardie would not appeal despite their claim that they would. Magazanik believes that James Hardie should give up their attempts at appealing. Magazanik stated that his client has already endured a tiresome trial and suffered through very aggressive cancer—James Hardie should just accept the court’s decision and let Lowes get on with his life. Magazanik continued by stating that it was ‘unbelievable’ that the company continued to dump asbestos waste at a children’s playground at least until 1971.